Citroen DS3 – Move Over Style Icons, There’s a New Kid on the Block. It’s not often us hardened Motor Trade people find a car that makes us turn our heads and hanker to try one. Well, that’s just happened, with the introduction of Citroen’s moody looking DS3. Aimed at the more fashionable end of the market and competing with designer cars like the Mini, Fiat 500, and Alfa Romeo Mito the new DS3, is at least on paper, a real contender to take the laurels as the car to be seen in, so we got our hands on one and “got seen in it” and tried to decide if its as good in the metal as it was in the print. Before we look at the DS3, lets explain a little of the thinking. Both Mini and Fiat 500 harp back to the style they were way back in the late 50’s and in many ways, that’s nice and certainly, it’s appealed to buyers, who have bought the Mini and the Fiat in their droves, but you have to ask if it is because of the retro styling, or simply because they want to be different? I would imagine that there are not many of today’s buyers for Mini & Fiat 500 that were even around at the time the Mini & 500 first saw the light of day, so it can’t mainly be a nostalgia thing and let’s hope for Citroen that is the case, as the only thing nostalgic about the DS3 is the DS name, although in fairness, that does date back to 1955. So picking up on the “difference” thing, I suppose the Mini, Fiat 500 and Mito owners who wanted to be different, felt they were sending a message to say how cool they are when it comes to choosing a car and inferring at the same time that they needn’t be practical as their life style was their own to choose, but what they didn’t realise is that they would pretty soon be driving a car you see on every corner and in every traffic jam, simply because there are so many of them around. In the end, the last thing they had become was different. Echoing Andre Citroen’s comment that “different was everything” Citroen decided to opt for just a simply gorgeous design, that’s going to attract the “mini” set, but also make it infinitely customisable from the factory, so that your DS3 really is different. There are 38 different body and roof colour combinations, plus a stack of roof decals ranging from ‘Urban Tribe’, ‘Zebra Spirit’ and ‘Pear or Vibe Spirit’ and whilst I would love to describe some of these to you, its probably best you pick up a brochure. However as we are talking individuality, as there are 3 models in the DS range and 38 colour combinations, that means there are 114 different variants, but add to that the roof decals and it turns it into 456 unique styles, but it does not end there as there are different wheel options, which also have different wheel centre options, so chances are, you could line up over 500 new DS3’s and every one could be visually different to the other and that’s pretty cool. The beauty doesn’t stop there either, as the cars interior is superb with a really classy feel about it. Its elegant due mainly, again, the attention to detail and the materials Citroen have used, which feel top quality and this all adds to making you feel special as soon as you climb into the DS3. The DS3 comes in a choice of 6 engines, three of which are petrol, the 1.4 95ps, the 1.6 120ps and the range topping 1.6 150ps. The diesels are superb, as you would expect from Citroen and the three choices here are a 1.6 90ps, a 1.6 110ps and clean & green 1.6 90ps that has sub 100g/km emissions with a tax disc free 99g/km and offers a combined average fuel consumption of 74.3mpg, but which ever you choose, all of the diesels come in at below 120g/km, so this is definitely a car that whilst it looks designer chic, is gentle on the environment. We liked the new C3 Picasso and the new C3 and admired the cars build quality and the way they drove and that’s not changed when we look at DS3. Price wise, you can get yourself into a DS3 for less than £12,000 on the road, although top of the range 150ps Sport will cost you a little under £16,000 and depending on how different you want to be, you could easily spend another £2,000 on top of those figures, on options, so the DS3 definitely fits into Mini territory when it comes to pricing. Maybe I am judging everybody wrongly, but I kind of think we all want as nice a car as we can possibly afford and ideally, one that looks better than we can afford. We want it to be stylish, practical, built well and fit our life styles (or the picture of our lifestyle we want to paint to the outside world), yet we want it to be reliable, cheap to service and above all, deliver us good MPG, without killing plants as we drive by and if I am right in this, well I have to tell you the DS3 is one of the cars you’ve got to be looking at. Driving a DS3 is a bit like letting the world think you are dating a ‘Supermodel’ whilst in truth, she’s as reliable as your granny and well behaved as Margaret Rutherford, with the running costs of a mouse, but all your mates will never know that. By that, what I am trying to say is that whilst it looks like you’ve made a decadent choice with the DS3, that couldn’t be further from the truth as the DS3 simply gives you the best of both worlds. 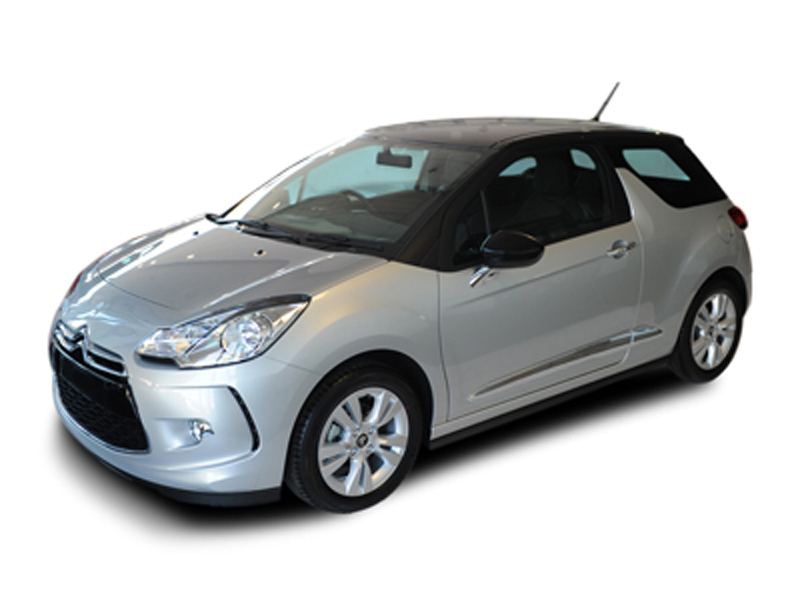 For a quotation on the new Citroen DS3 or on any other Citroen, please contact us.